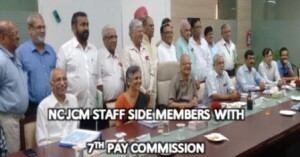 NFIR wrties to PM Narendra Modi on 5th October 2015 regarding the announcement of bonus for Central Government employees on 1st September 2015 by the Ministry of Labour and Employment. 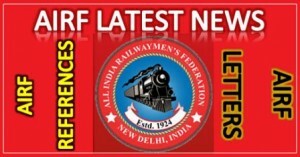 Productivity Lined Bonus for Railway Employees is made every year, prior to Dussehra Festival. Employees throughout the Country are anxiously awaiting for Government’s decision as already promised for revision of wage eligibility and calculation ceiling limits on BONUS. 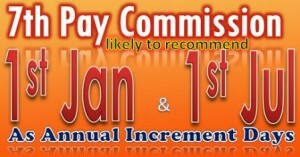 Sub: Payment of Bonus to workers — removal of eligibility and calculation ceilings-reg. Vide Press Information Bureau dated 1st September 2015, the Government of India (Ministry of Labour & Employment) has announced that the Government has been seriously considering amendment in the wage eligibility for payment of Bonus to the employees from Rs.10,000 to Rs.21,000 and equally for revising the calculation ceiling from Rs.3500 to Rs.7000 or the minimum wage notified by the appropriate Government for that category of employees, whichever is higher. Although more than a month passed from the date of announcement, the Government is yet to give decision for upward revision of wage eligibility and calculation ceiling limits. 2. 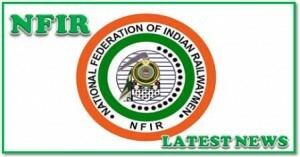 In this connection, NFIR desires to bring to your kind notice that in the Railways, productivity Linked Bonus Scheme was introduced in the year 1979 by an agreement with the Railwaymen’s Federations. Pursuant to the said agreement, payment of productivity Linked Bonus (PLB) is made every year (prior to Dussehra festival) by notional calculation of salary at Rs. 3500/- per month. NFIR has been pressing the Government since long to remove calculation ceiling for ensuring payment of P.L. 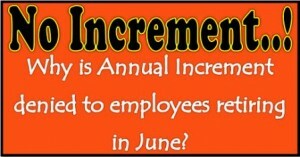 Bonus on actual salary of employees. 3.The employees throughout the Country are anxiously awaiting for Government’s decision as already promised for revision of wage eligibility and calculation ceiling limits on Bonus.